An off-shoot of the Power of Our Voices program, Urban Speaks is an Open Mic night that serves as an opportunity for young poets, singers, song writers, dancers—what ever form of expression calls you—to the stage, perform, and network with other artist. Urban Speaks highlights local youth and their talents while allowing young people to network and share their many forms of creative practices. After each performance, two minutes are set aside for performers to receive audience feedback on there pieces, creating a community dialogue with the performers and space for constructive criticism. Urban Speaks is open to the public and is free of cost. 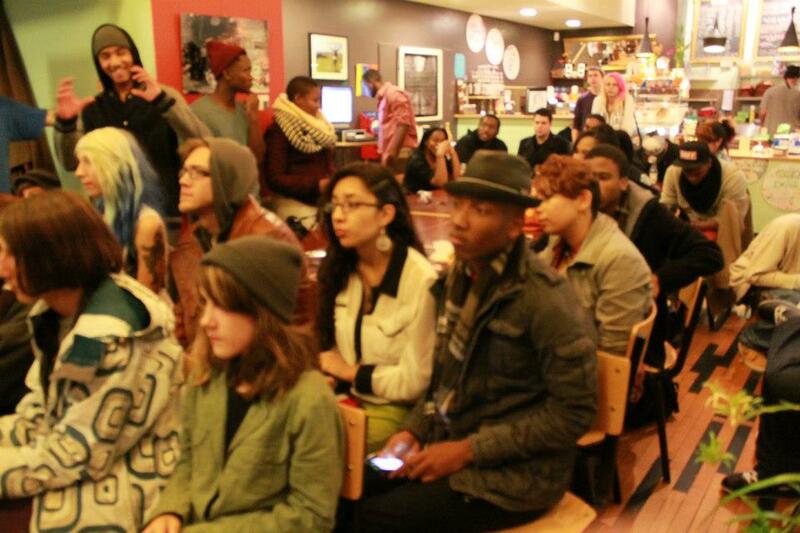 Performances take place on the last Friday of the each month from 7 to 9pm at Cafe Southside, 3405 Chicago Avenue S, Minneapolis.